You are now visiting Hawkins County TN. This is on Stanley Valley Road. 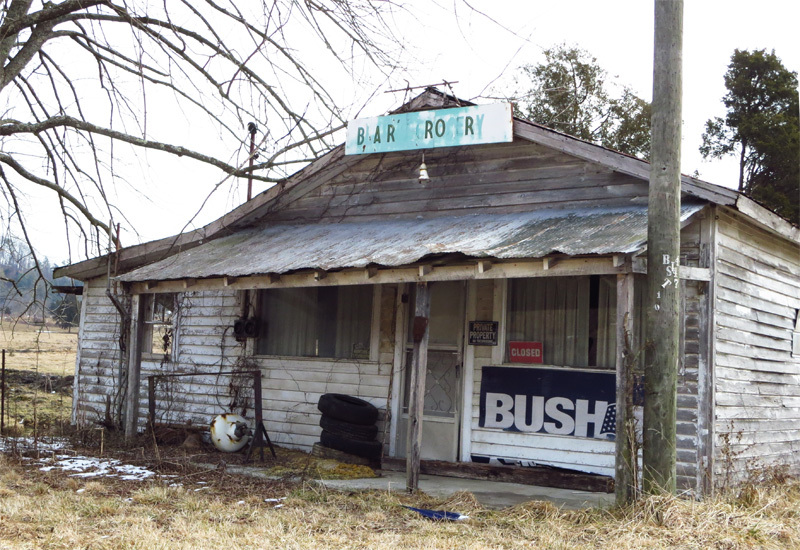 The sign reads, I think, “Blar’s Grocery”. Both of these were taken with a Canon PowerShot ELPH 330 HS. They’ve been Photoshopped only to improve contrast. I blew out the photon wells when I took the first one, but the second one is a little better. 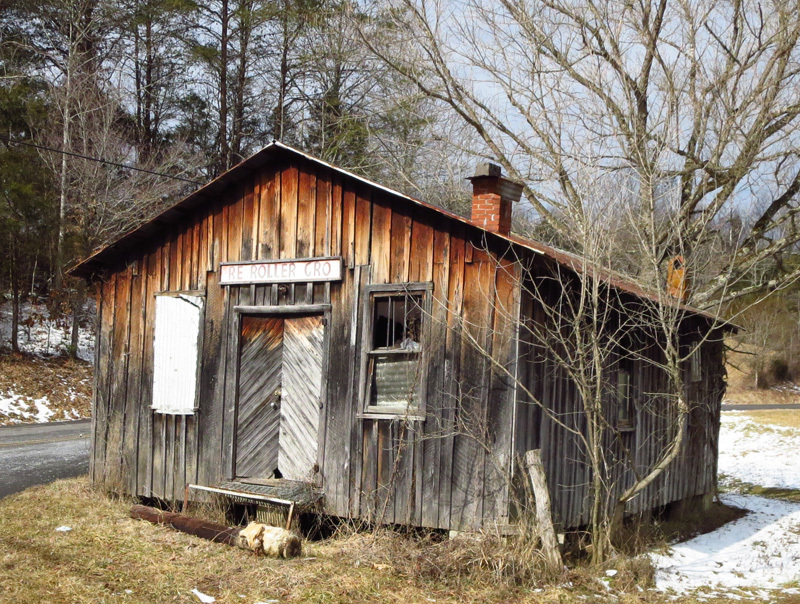 Is the old Osborne grocery still standing on Flower Gap Ridge just belwo the Flower Gap Baptist Church? Anderson Osborne use to run it. I’ve seen an Osborne Grocery, but I’m going to have to dig around in my pix to find it. Osborne is a fairly common name. I may be thinking of a store up in Nickelsville.